Why was an Almack’s voucher so important? 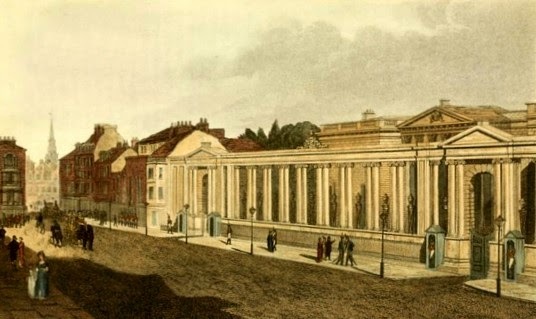 Almack’s Assembly Rooms were the most exclusive venue in Regency London. Almack’s was the place that ladies and gentlemen of quality went to see and be seen in the hopes of finding a suitable marriage partner. But why was it so exclusive? Because you were only admitted if you had a voucher and you could only get a voucher if you were approved by one of the lady patronesses. You can read more about Almack’s here. What was an Almack’s voucher like? Someone recently asked me whether I knew how big an Almack’s voucher would have been and I had to confess that I did not know. I decided to try and find out. Fortunately, I knew where to start looking. 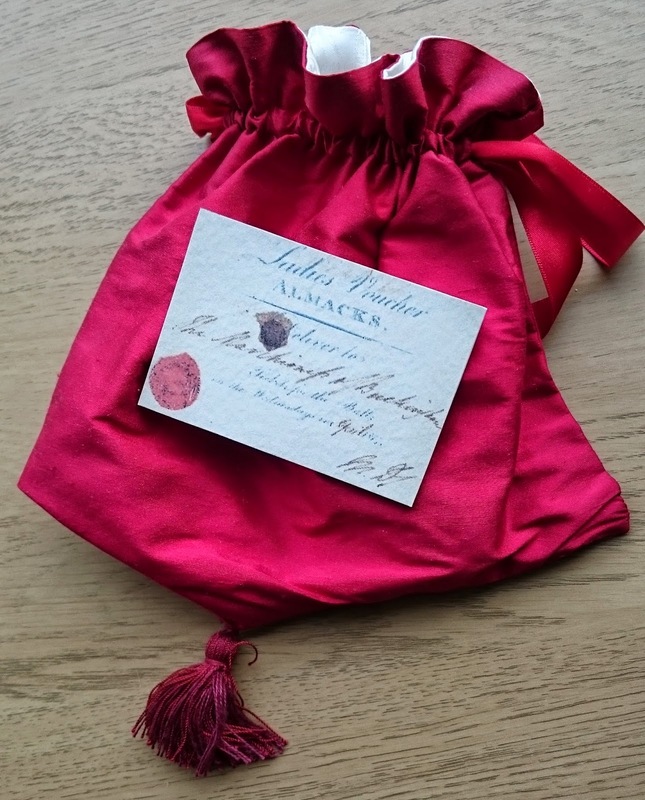 The only Almack’s voucher that I have ever seen on the internet is part of the Stowe Collection held at the Huntington Library in San Marino, California, USA. It was included in an exhibition in 2011, Revisiting the Regency: England, 1811-1821. Vanessa Wilkie, Curator of Medieval and British Historical Manuscripts at the Huntington Library, has the voucher in her care and was able to help me. She told me that the voucher was printed on very strong cardboard and was about the same size as a business card – approximately 2.5 inches by 3.5 inches (or 6.25cm by 8.75cm). To help me get a feel for what this was like, I printed out the image using these dimensions. As you can see from the photograph, it would easily fit inside my Regency reticule. 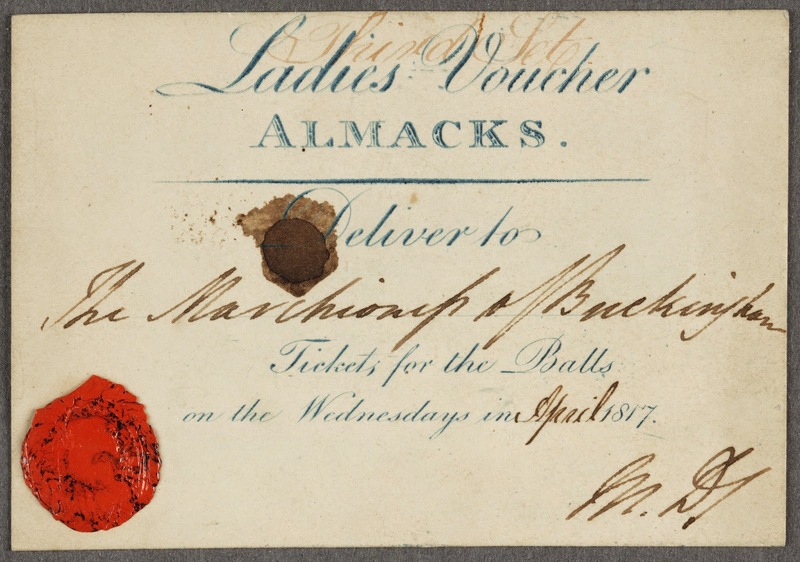 The voucher was issued to the Marchioness of Buckingham for the balls on the Wednesdays in April 1817. But who was she? The Marchioness in question was Anna Elizabeth Temple-Nugent-Brydges-Chandos-Grenville, Duchess of Buckingham and Chandos (1779-1836). Lady Anna Elizabeth Brydges married Richard, Earl Temple, in 1796. He succeeded his father as Marquess of Buckingham in 1813 and was made Duke of Buckingham and Chandos, and Earl Temple of Stowe, in 1822. So in 1817, Anna Elizabeth would have been known as the Marchioness of Buckingham. Anna Elizabeth's husband does not seem to have had a very good reputation. In June 1816, the Times mentioned an affair of honour between the Marquis of Buckingham and Sir Thomas Hardy "in consequence of a dispute at the Opera-house". (1) He has been described as inept, greedy and extravagant, but his wife seems to have been a very capable woman. In 1828, Anna Elizabeth forced her husband to make a resettlement in her favour after he had sold off lands from her marriage settlement in order to pay his debts. I cannot help wondering whether any of the patronesses of Almack’s would have granted the unsavoury Marquess a voucher or not. I have read on several Regency blogs (3) that the Marchioness of Downshire was a patroness of Almack's. This is supported by contemporary correspondence and lists of patronesses in advertisements for the balls at Almack's in the Morning Post. What else can we learn from the voucher? A new piece of information that I gleaned from Vanessa is that the back of the voucher is inscribed with the words "Pall Mall" (shown above). Is this where the Marchioness of Buckingham was living and the address to which the voucher was to be delivered? 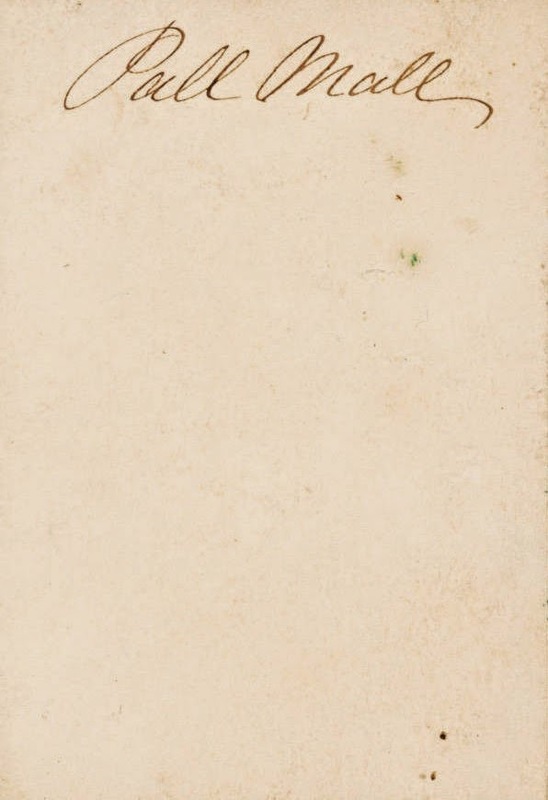 The faint words written in brown ink on the top of the card are thought to read ‘Third Set’. (5) Various suggestions have been made as to what these words mean - a third set of vouchers, a third sitting for supper or the third set in a dance? It seems most likely that they refer to the third set of quadrilles being danced at Almack's. What do you think they meant? (1) From The Times, London, 18 June 1816, The Times Digital Archive accessed 24 Jan 2015. (2) From the catalogue notes for the voucher at the Huntington Library. 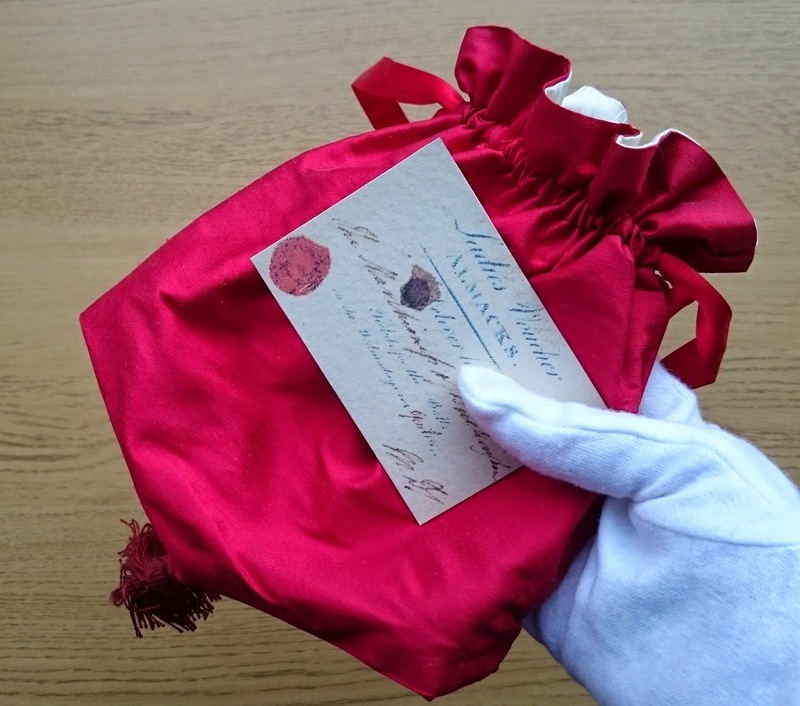 (3) For example, Jane Austen’s World blog, Candice Hern’s Facebook page and Carolyn Jewel’s comment on the Huntington Library’s Flickr image of the voucher. (4) From an 1819 entry in Life, Letters and Journals of George Ticknor (1876). (5) From comments by the Huntington Library on their Flickr image of the voucher. Huntington Library's Flickr image of the voucher. The image of the Almack's voucher is used with kind permission from the Huntington Library: STG Misc. Box 7 (Almack's Voucher), © The Huntington Library, San Marino, CA. If you wish to download a low resolution image of the voucher for your personal use, please follow this link to The Huntington Digital Library. 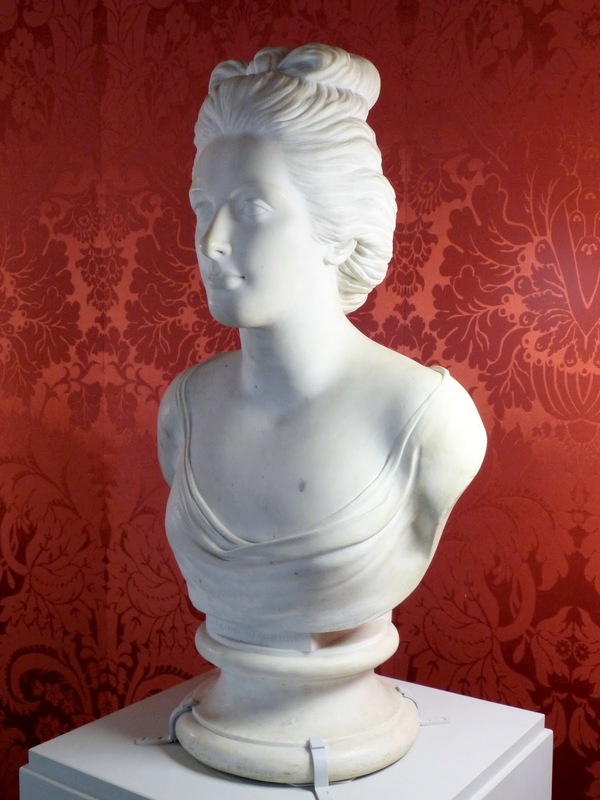 Anne Seymour Damer (8 November 1749 - 28 May 1828) was an English sculptor and author. 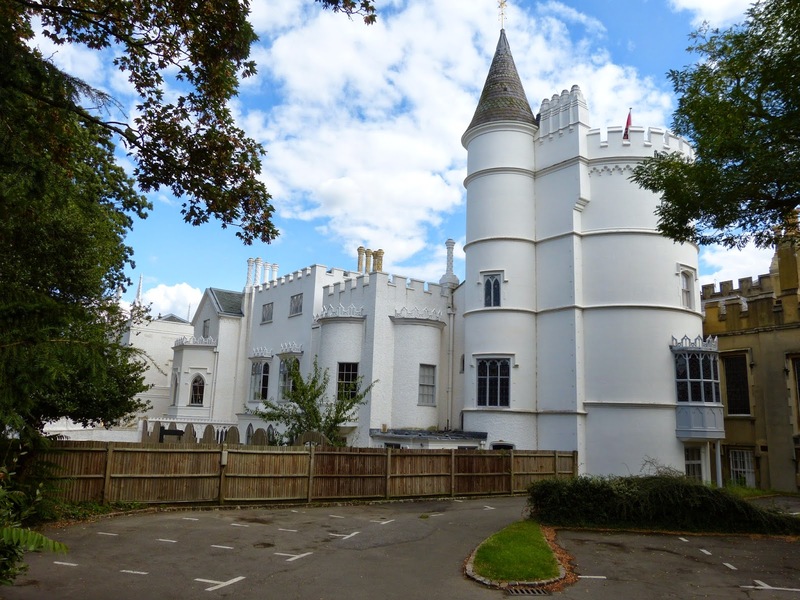 She was a cousin of Horace Walpole and in his will, he left her a life interest in his Twickenham home, Strawberry Hill. 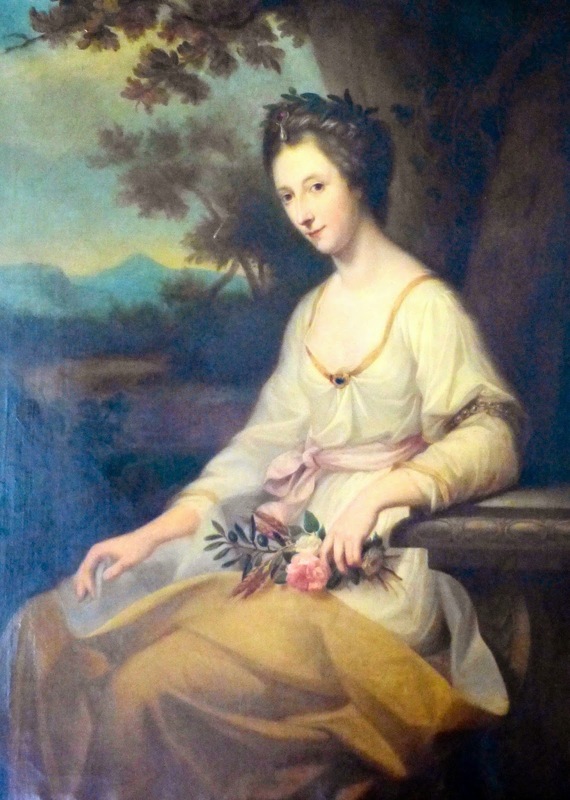 Anne Seymour Conway was born on 8 November 1749 in Sevenoaks, Kent. She was the only child of Henry Seymour Conway, a Field Marshal in the British army and Whig MP, and his wife Caroline, daughter of John Campbell, 4th Duke of Argyll, and widow of the 3rd Earl of Ailesbury. Anne lived with her family at Park Place, Remenham, near Henley-on-Thames. 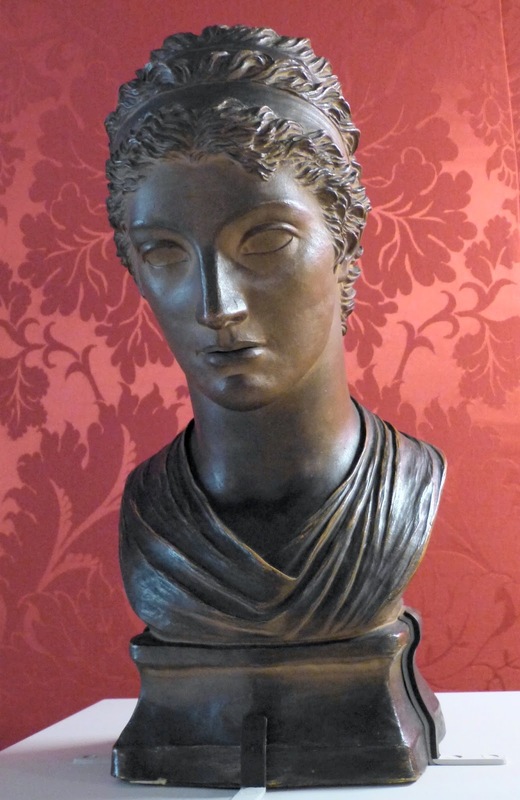 Her father’s secretary, David Hume, encouraged her to develop her skills in sculpture. On 14 June 1767, Anne married the Honourable John Damer, but the marriage was not happy. They separated after seven years and on 15 August 1776, Anne’s husband committed suicide, leaving huge debts behind him. 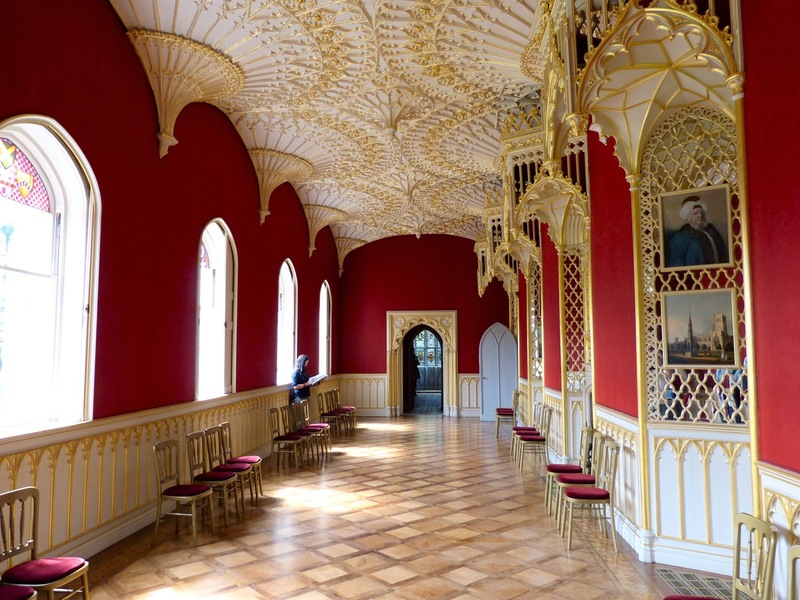 On his death in 1797, Walpole made Anne one of his executors and left her a life interest in Strawberry Hill. She lived there until 1811 when she had to give the house up because it was too expensive to maintain. 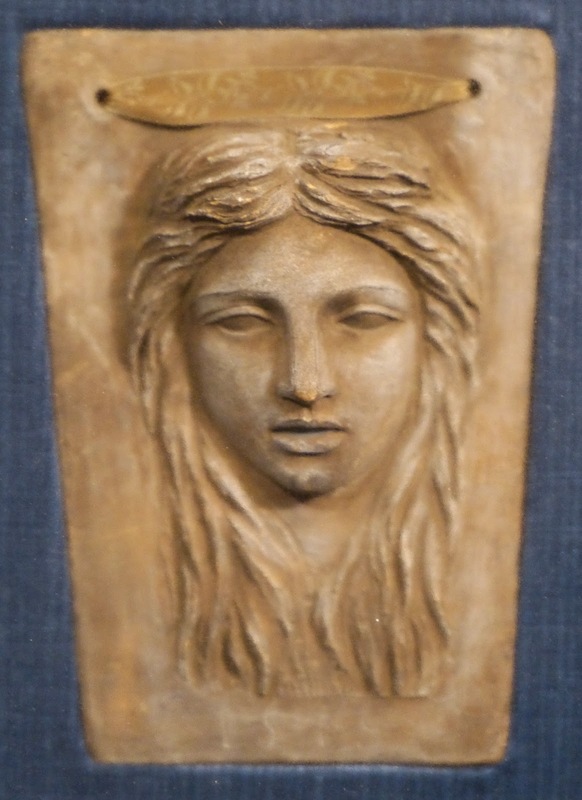 Anne was a skilled sculptor and was an honorary exhibitor at the Royal Academy from 1784 to 1818. Her works included busts of Lady Melbourne, Admiral Nelson, Joseph Banks, George III, Charles James Fox, Princess Caroline of Wales, Mary Berry and herself. Mrs Damer has given me her Eagle, which I call the spoilt child of my antique one, it is in such a passion. Anne carved “two colossal heads for the bridge at Henley”5 in 1785 and a ten foot high statue of Apollo for the new Drury Lane Theatre which opened in 1794. As well as her artistic achievements, Anne was a classical scholar. 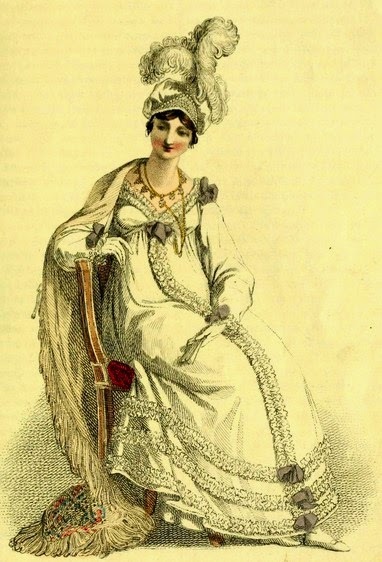 Walpole wrote that “she writes Latin like Pliny, and is learning Greek.”1 She wrote a romantic novel, Belmour (1801). Walpole described Anne as having “much reserve and modesty”1 but there was another side to her character. She frequently attended masques at the Pantheon and took part in amateur theatricals, both at Richmond House, the London residence of the Duke of Richmond, her half-sister Mary’s husband, and at Strawberry Hill. 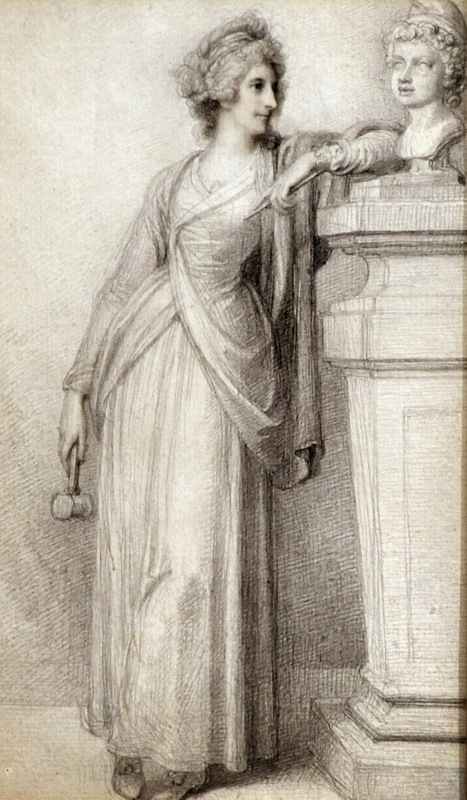 Anne was a long-term friend of Charles James Fox. During the Westminster election of 1784, she canvassed for him alongside Georgiana Cavendish, Duchess of Devonshire, and Mrs Crewe. It was Fox who broke the news of her husband’s death to her. 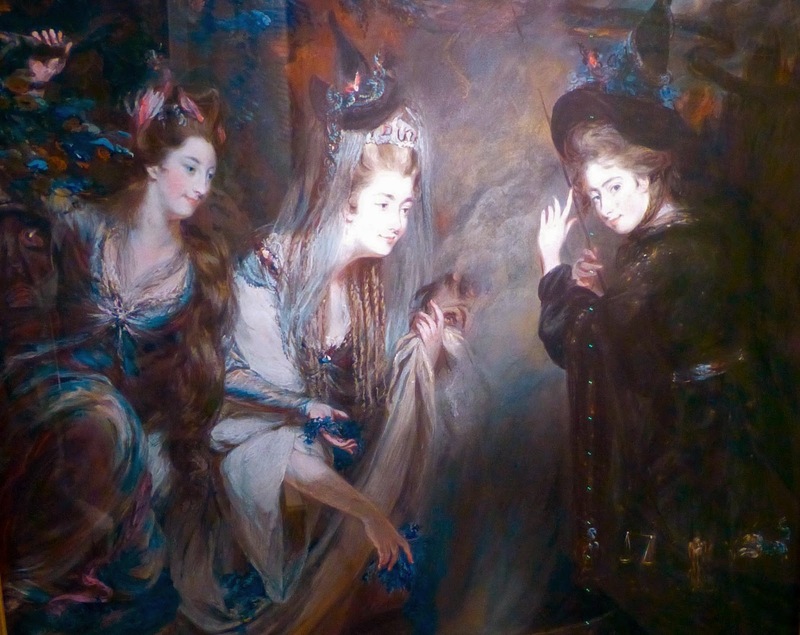 In 1775, Anne was painted by Daniel Gardner as one of The Three Witches from Macbeth along with her Whig friends, Georgiana Cavendish, Duchess of Devonshire, and Elizabeth Lamb, Viscountess Melbourne. Anne was a personal friend and loyal supporter of Caroline, Princess of Wales. 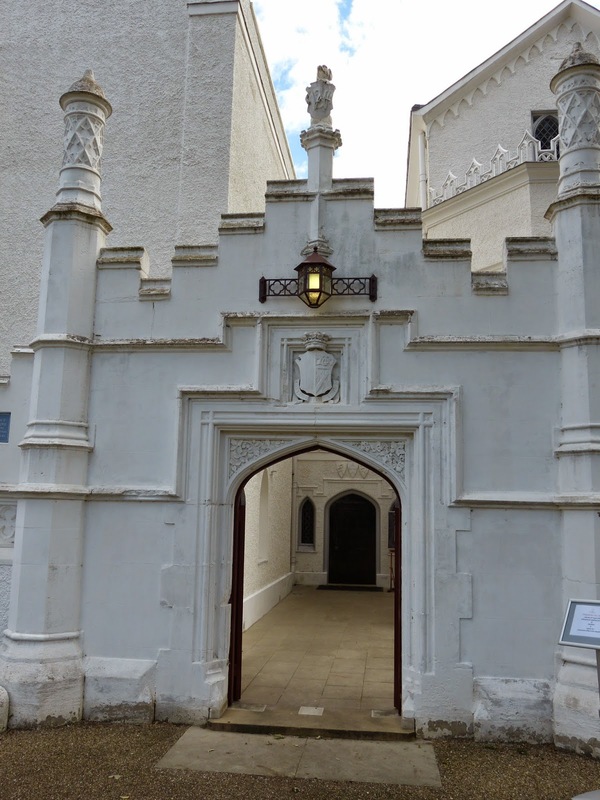 The Princess visited Anne at Strawberry Hill and is said to have received sculpture lessons from her. Anne had a number of close female friends, including Princess Daschow; poet and dramatist Joanna Baillie; actresses Elisabeth Farren and Sarah Siddons; and most especially, the author Mary Berry. Her close friendships with other women caused some unfavourable publicity, in particular, the anonymous pamphlet A Sapphick Epistle from Jack Cavendish to the Honourable and Most Beautiful, Mrs D- which was published around 1770. Anne was “very delicate”3 and often visited the continent where the warmer climate was beneficial to her health. During a voyage in 1779 she was captured by privateers but fortunately she was restored to her father on Jersey. She visited Sir Horace Mann in Florence and Sir William Hamilton in Naples. 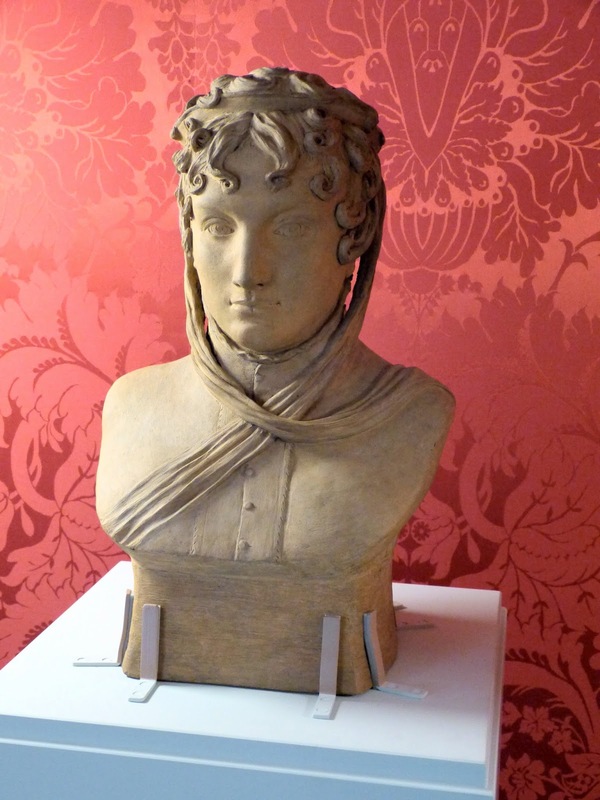 In 1798, she met Admiral Nelson whilst in Naples. In 1802, Anne visited Paris with Mary Berry and was granted an audience with Napoleon. 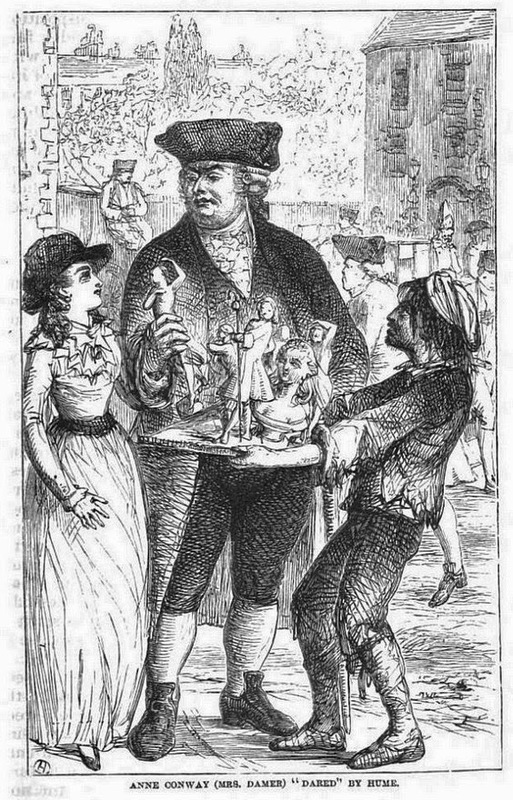 Anne gave Napoleon plaster busts of Admiral Nelson and Charles James Fox, and promised him a marble version of the bust of Fox. Anne was given a gold snuffbox, set with a miniature of Napoleon and decorated with 28 diamonds in silver settings. 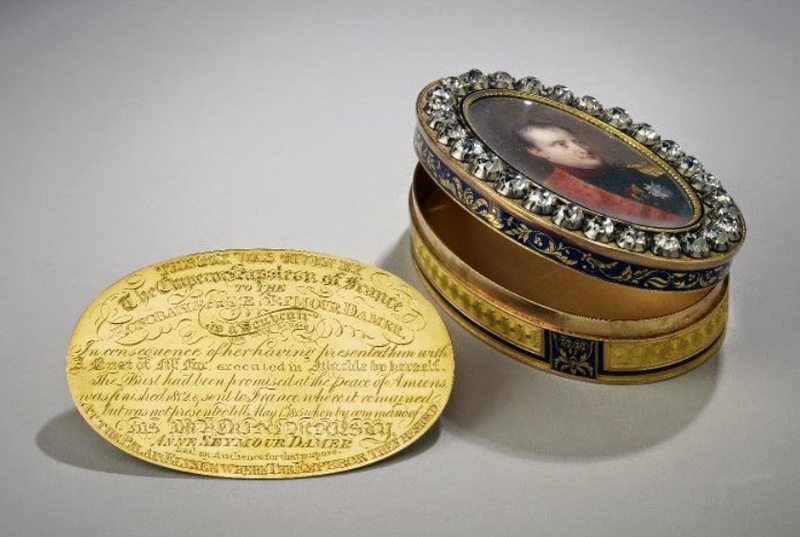 The snuffbox was bequeathed to the British Museum by Anne in 1828. Anne died on 28 May 1828 in her house in Grosvenor Square, London. She was buried next to her mother in Sundridge, Kent, with her sculptor’s tools and apron and the ashes of her favourite dog. At her request, her private papers were destroyed after her death. (1) In a letter from Horace Walpole to Sir Horace Mann, 7 Sept 1781, from The Letters of Horace Walpole (1857) Vol VIII. (2) In a letter from Horace Walpole to the Earl of Strafford, 31 Aug 1781, from The Letters of Horace Walpole (1857) Vol VIII. (3) In a letter from Horace Walpole to Sir Horace Mann, 7 May 1785, from The Letters of Horace Walpole (1857) Vol VIII. (4) In a letter from Horace Walpole to the Countess of Ossory, 14 June 1787, from The Letters of Horace Walpole (1859) Vol IX. (5) In a letter from Horace Walpole to Sir Horace Mann, 30 Oct 1785, from The Letters of Horace Walpole (1859) Vol IX. (6) In her entry in the Oxford Dictionary of National Biography, Yarrington suggests that the box was received as a memento in 1802, but the inscription from the British Museum website stated that it was not received until 1815. 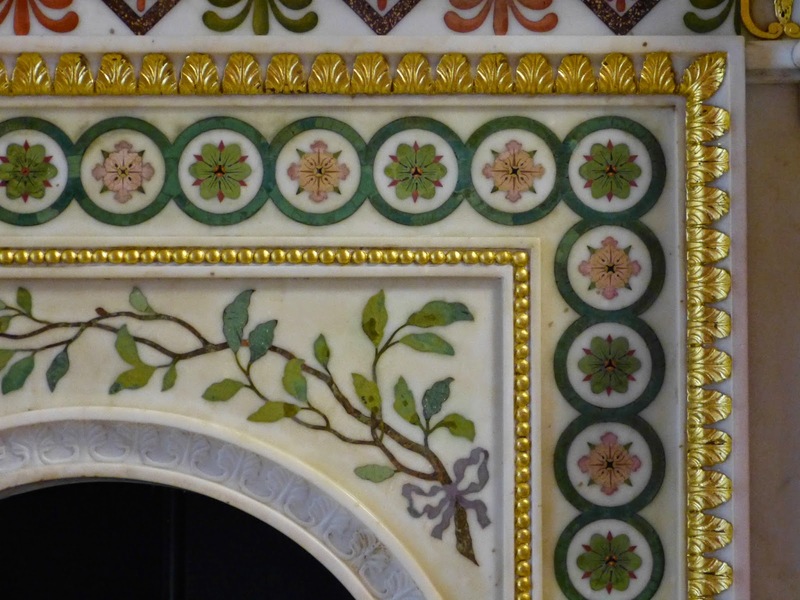 All photographs © Andrew Knowles - more of Andrew's photos of Strawberry Hill on Flickr. 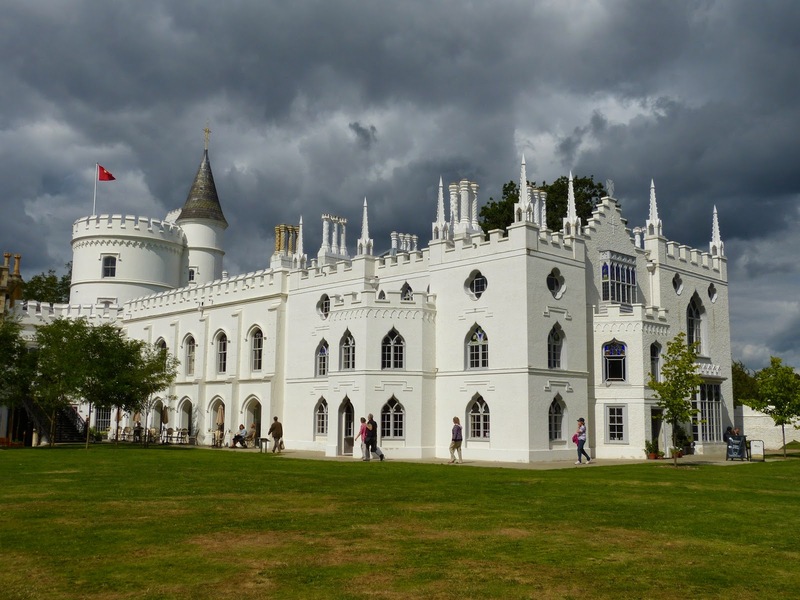 Strawberry Hill is a Gothic castle in Twickenham in London created by Horace Walpole. Horatio Walpole, known as Horace, was the youngest son of Sir Robert Walpole, the first British Prime Minister. In 1741, after spending two years on the Grand Tour, Walpole became a Whig MP. He was a prolific letter writer and author of a Gothic novel, The Castle of Otranto (1764), as well as an antiquarian and collector. He became 4th Earl of Orford in 1791 on the death of his nephew. 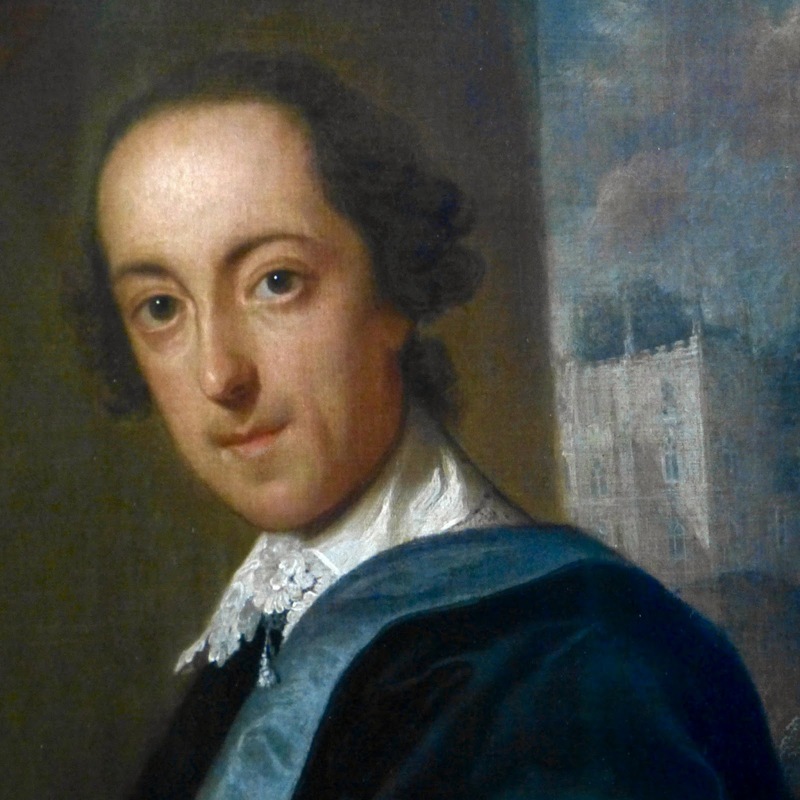 In 1747, Horace Walpole took out a lease on a house in Twickenham, not far from the River Thames. Known locally as Chopped Straw Hall, Walpole renamed it Strawberry Hill after discovering a reference to the name in an old lease. 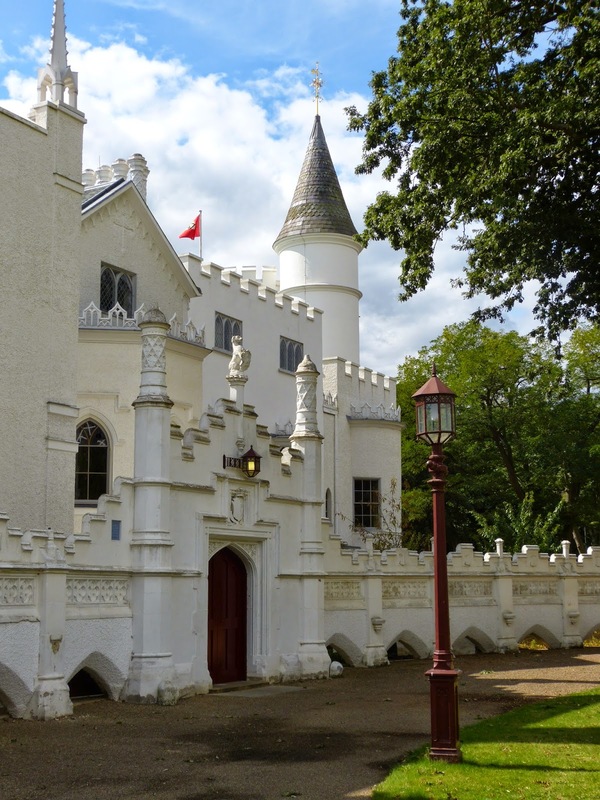 He bought the property in 1749 and embarked on an ambitious building project to transform Strawberry Hill into a model of Gothic architecture. The original property consisted of two buildings joined together. Walpole delighted in their lack of symmetry and used them as the core of his new house. 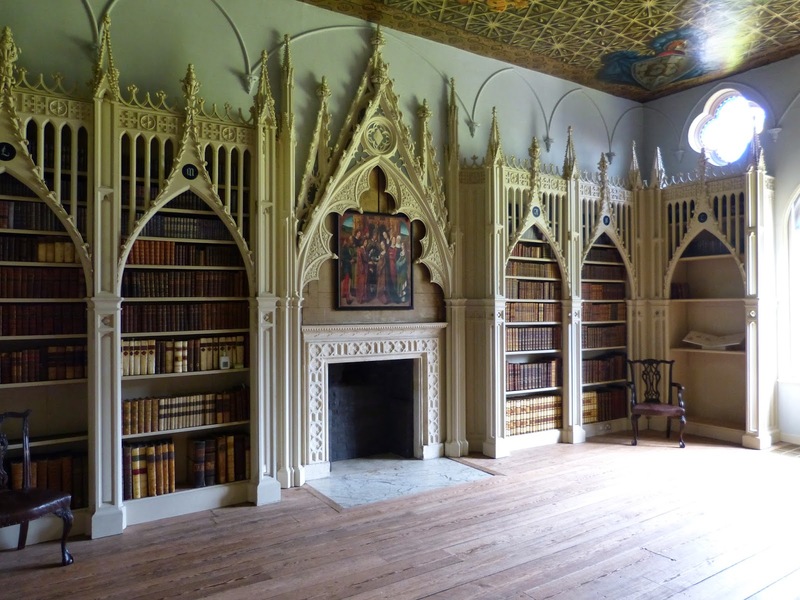 With the help of a committee of friends including John Chute, an architect and the owner of The Vyne in Hampshire, and Richard Bentley, an illustrator, Walpole designed his fairytale castle. He clad the outside of the original buildings and added battlements and pinnacles. 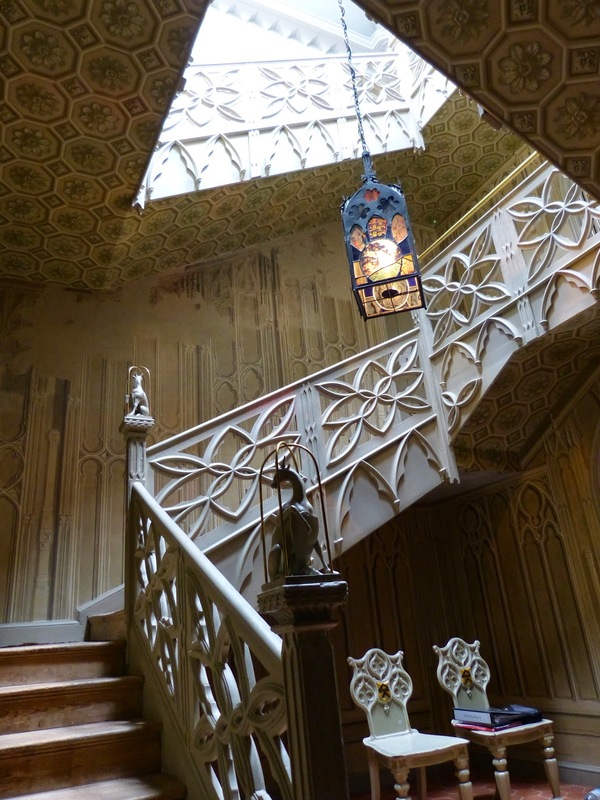 Internally, he added chimney places and bookcases, stained glass windows and intricate ceiling and wall designs. His aim was to create a route through his house where the visitor was constantly surprised, with gloomy areas leading into bright open spaces. 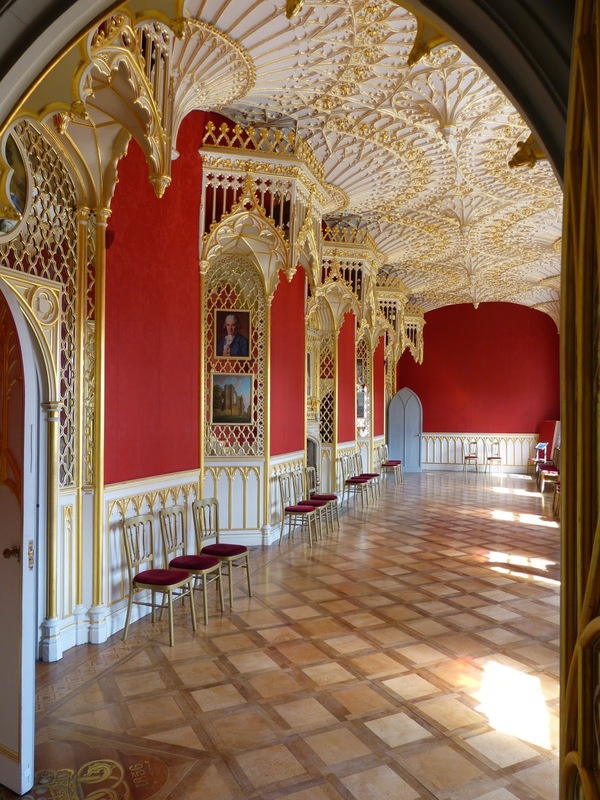 Walpole created Strawberry Hill as his Gothic summer house and filled its rooms with his collections of art, books and antiquities. The aristocracy flocked to see his fairytale castle and its famous collections. Walpole showed round some visitors, but others were taken round by his housekeeper who expected a guinea from each person for the trouble. Walpole wrote A Description of the Villa of Mr Horace Walpole at Strawberry-Hill near Twickenham, Middlesex, an illustrated guide to Strawberry Hill, and printed it on his own printing press. However, he seldom gave copies out as he feared that visitors would never leave if they sought to see everything in the book! 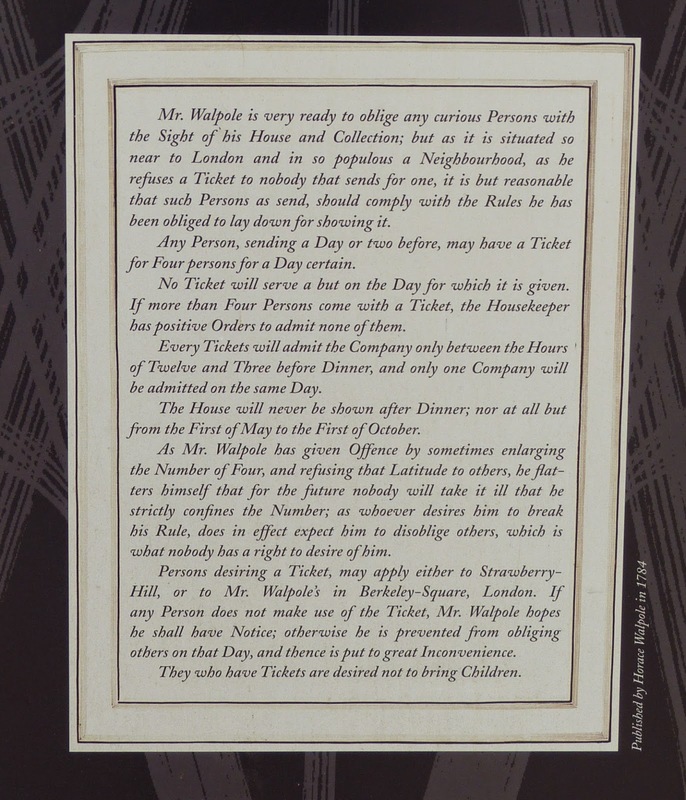 By 1774, Walpole had introduced a ticketed system. Tours were only available from 1 May to 1 October and he only allowed a maximum of four visitors per day. Children were expressly prohibited! 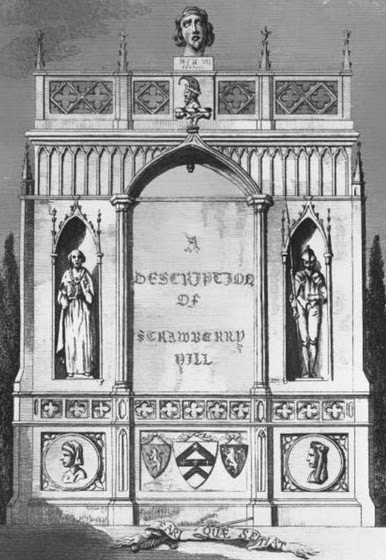 On Walpole’s death in 1797, Strawberry Hill passed to his cousin, the sculptor Mrs Anne Seymour Damer, for life. She lived there until 1811 when she gave the house up because she found it too expensive to maintain. 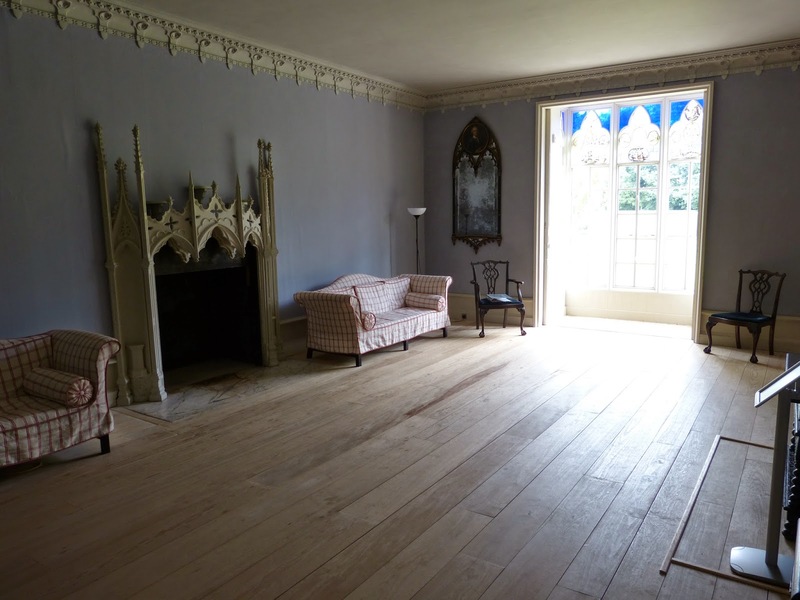 The house then passed to Walpole’s great niece, Lady Elizabeth Waldegrave, widow of the 4th Earl Waldegrave. Lady Elizabeth was the eldest daughter of Maria, Countess Waldegrave, later Duchess of Gloucester, by her first marriage. Maria was the illegitimate daughter of Walpole's brother Edward. Two generations later, Lady Elizabeth’s grandson, George, 7th Earl Waldegrave, was sent to prison for riotous behaviour, and he blamed the Twickenham justice system for convicting him. In 1842, he took his revenge on Twickenham by auctioning off all Walpole’s collections and leaving the house empty to decay. 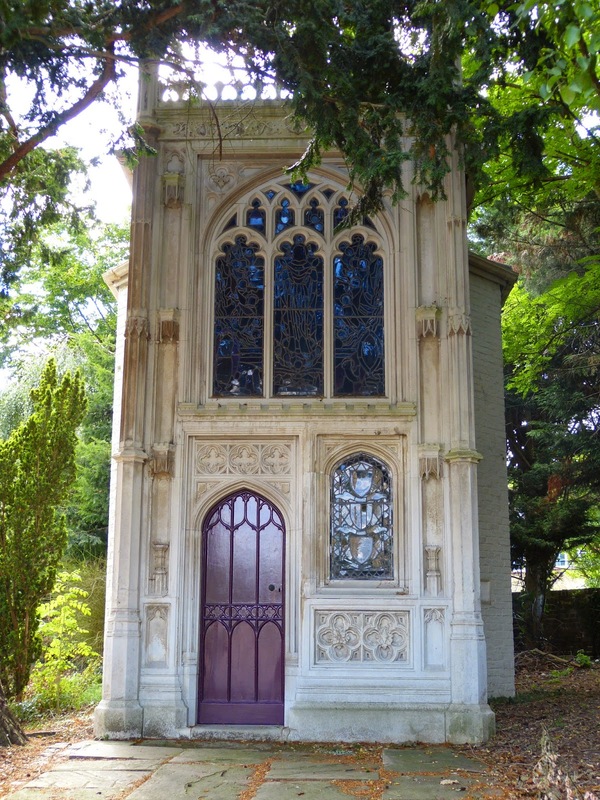 After George’s death, his widow, Frances, restored and lived at Strawberry Hill. In 1923, the property was bought to house what is now St Mary’s University College. 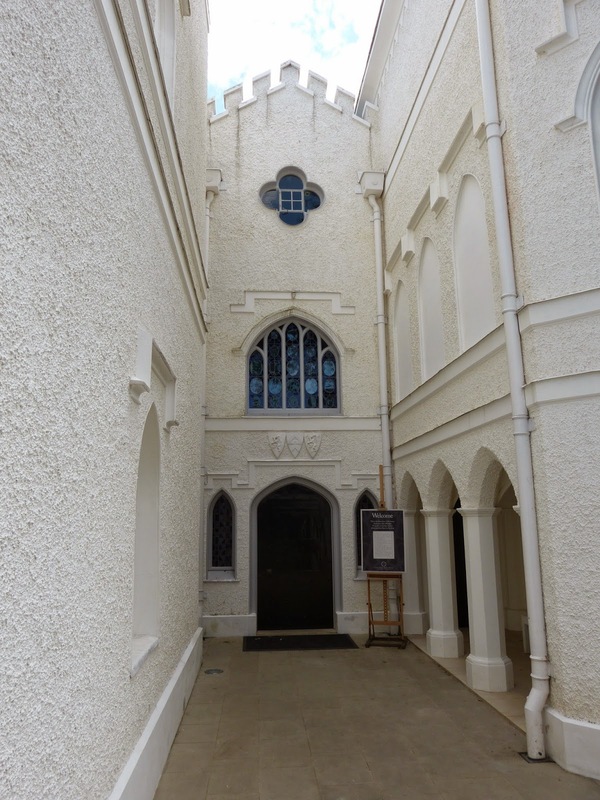 In 2007, the College leased the property to the Strawberry Hill Trust and renovation work began. It reopened to the public in 2010. 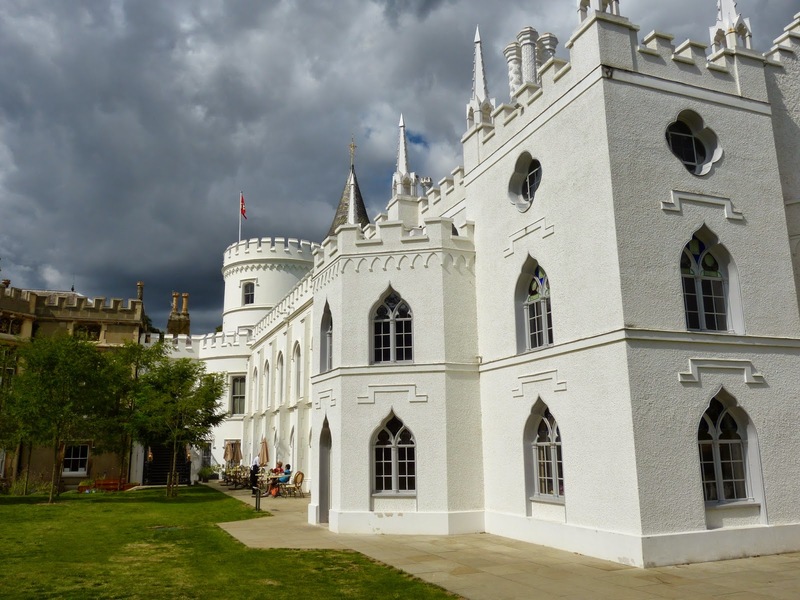 Find out about visiting Strawberry Hill here. 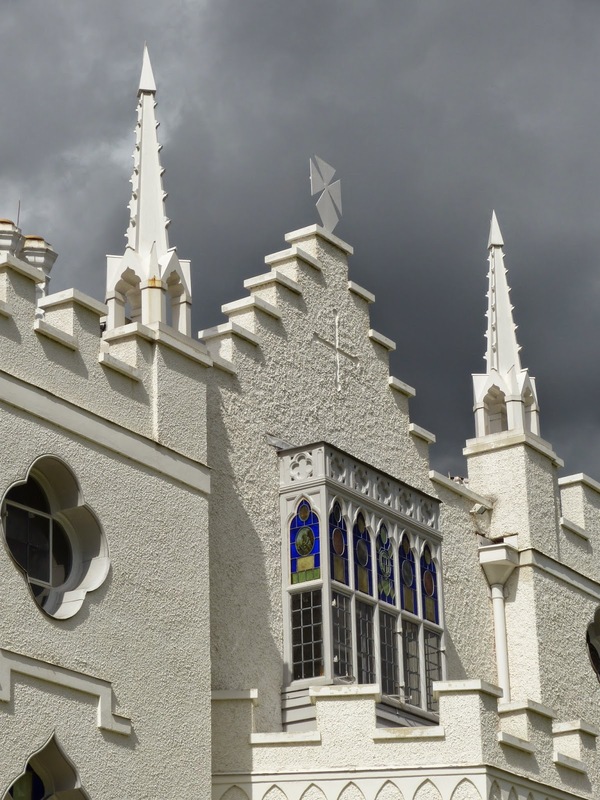 • The Gothic façade of Strawberry Hill, restored to its white magnificence. 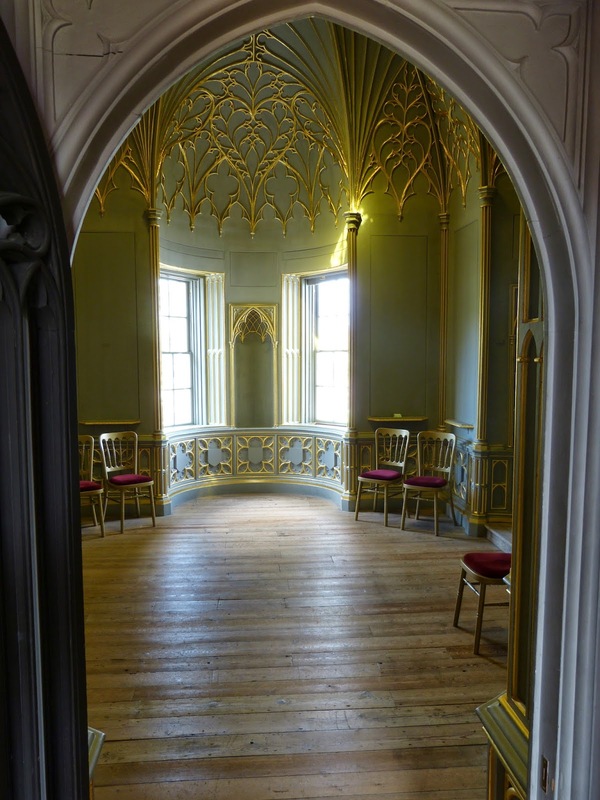 • The Entrance Hall – Described by Walpole as “the most particular and chief beauty of the Castle”. (2) The staircase was inspired by the library staircase at Rouen Cathedral. 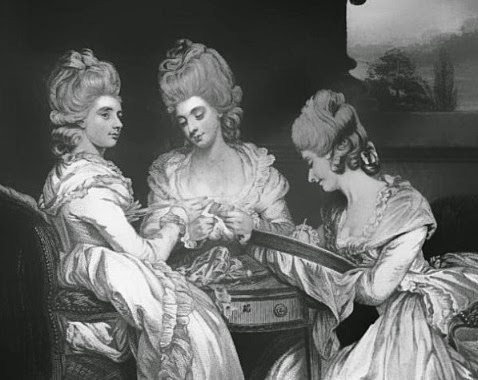 • The Great Parlour - In Walpole’s time, the famous painting of Walpole’s three nieces, The Ladies Waldegrave, by Sir Joshua Reynolds would have hung opposite the fireplace. 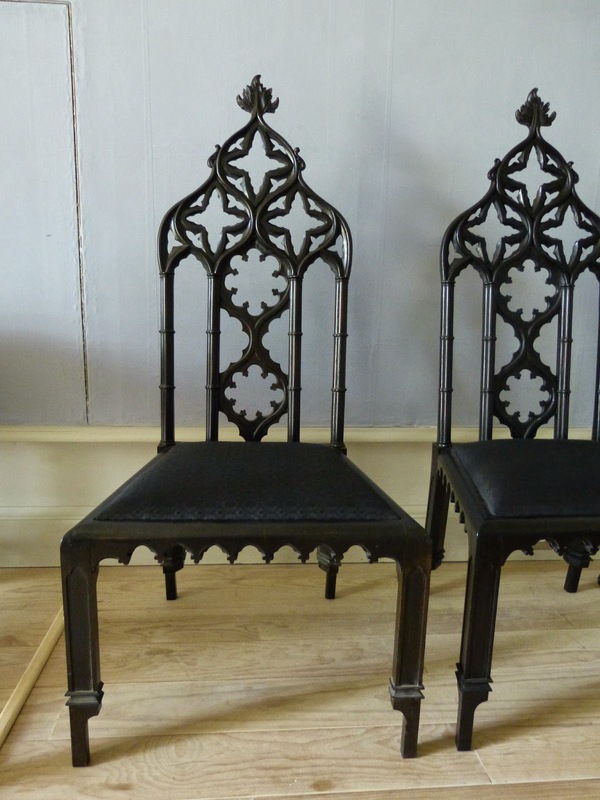 The original Gothic fireplace has been restored; the chairs are replicas. • The Library – This is the most amazing room! 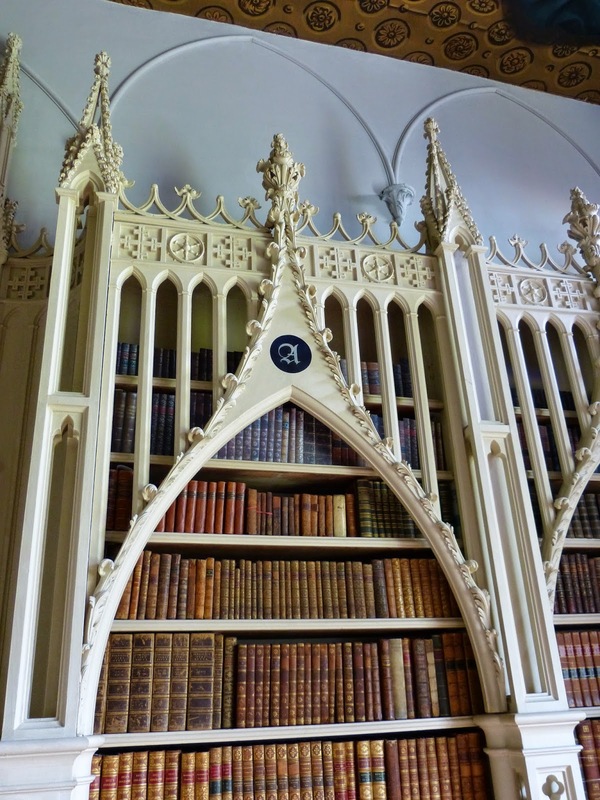 The Gothic arches swing open to enable access to all the books. They were designed by John Chute. 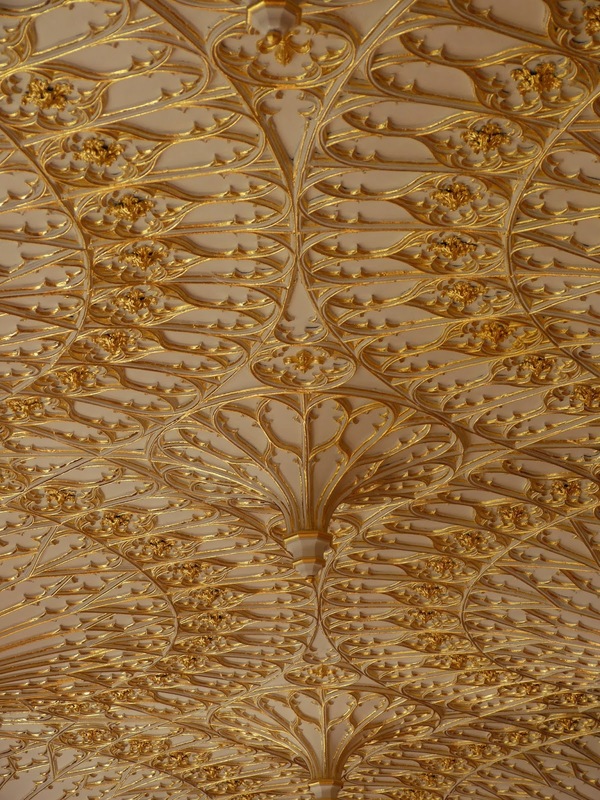 • The Gallery – The fan-vaulted ceiling is made of papier mâché. 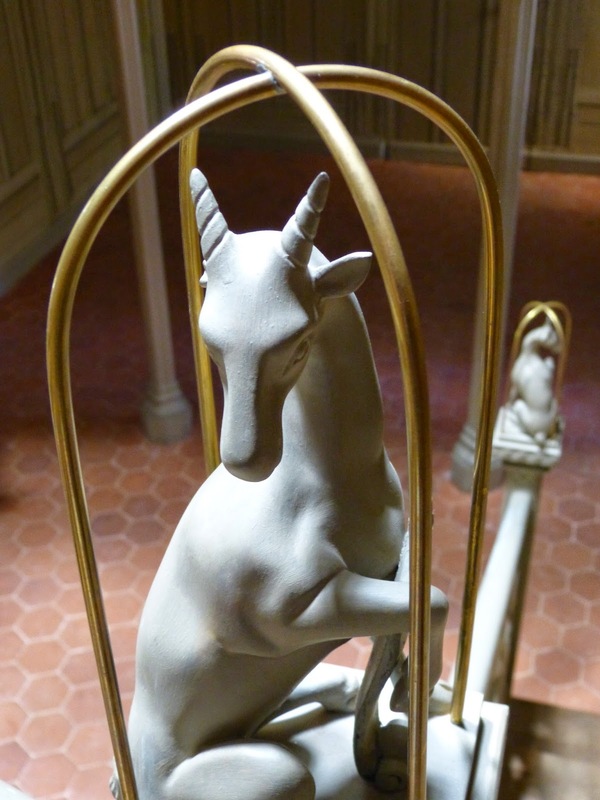 The brilliance of the restored gilding in this room is breathtaking! • The Tribune – This room is square with semi-circular recesses in each side. Walpole kept the most valuable part of his collections here including a cabinet containing his precious collection of miniatures. 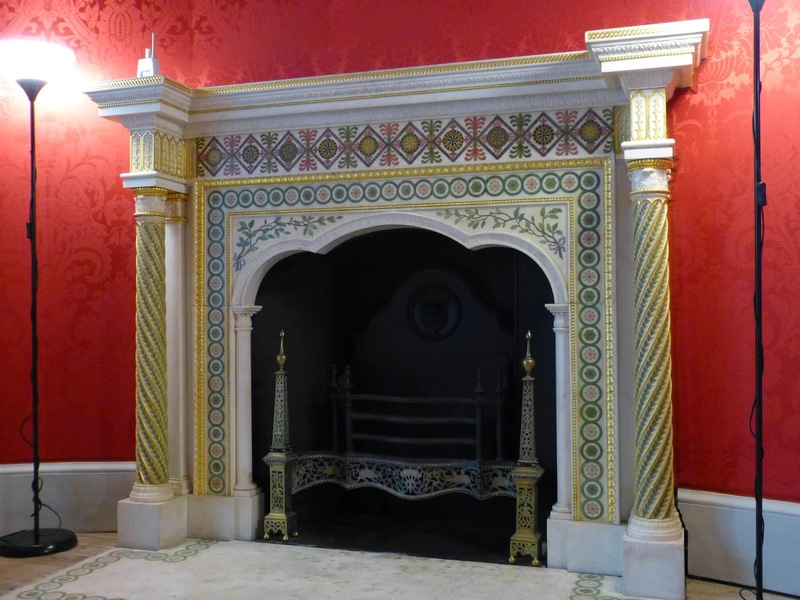 • The Round Drawing Room – The fireplace was inspired by the tomb of Edward the Confessor in Westminster Abbey and “improved” by Robert Adam. Adam also designed the frieze round the walls. (1) From the preface to A Description of the Villa of Mr Horace Walpole at Strawberry-Hill near Twickenham, Middlesex (1774). (2) In a letter from Horace Walpole to Sir Horace Mann reported in The Gentleman's Magazine (April 1834).